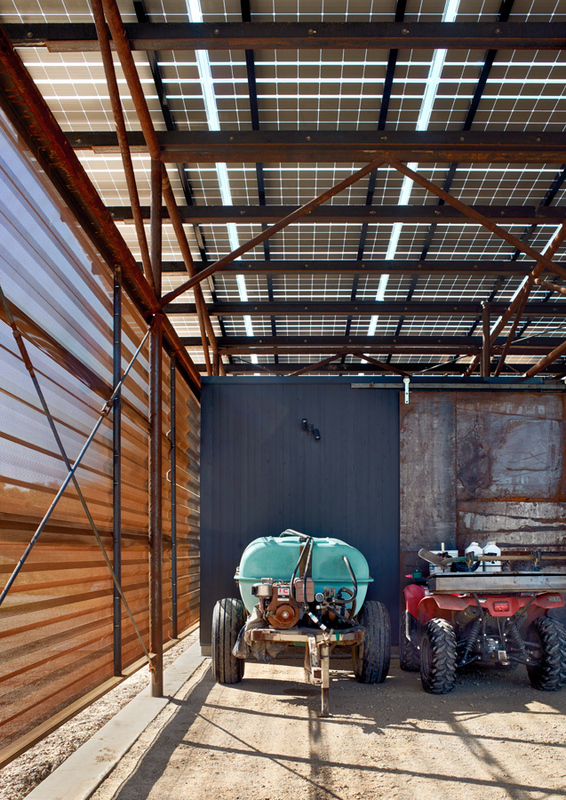 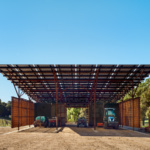 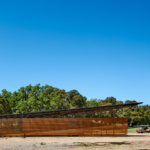 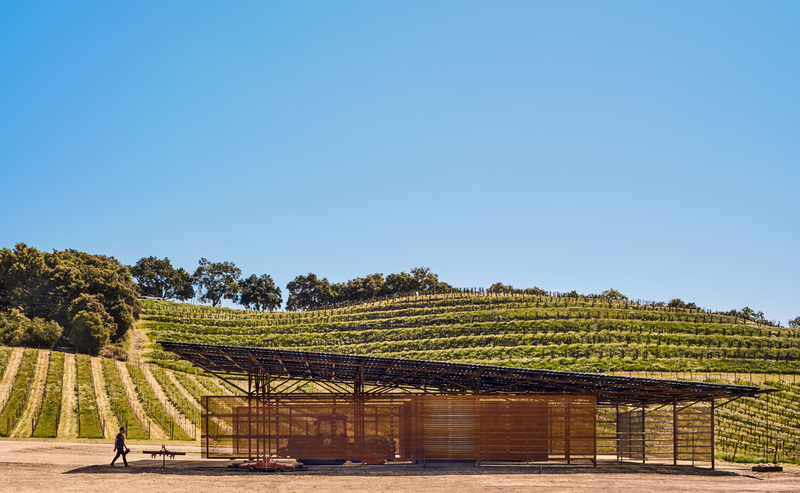 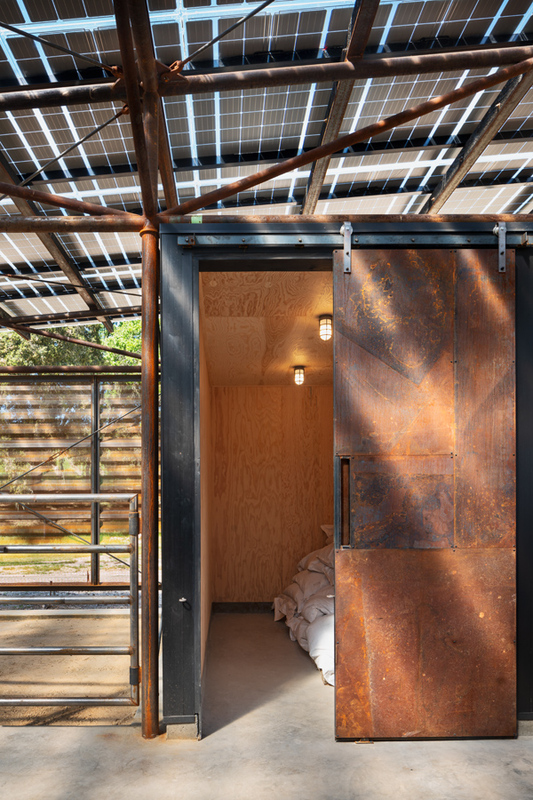 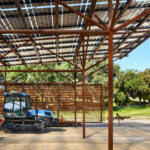 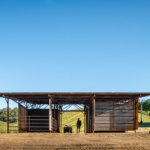 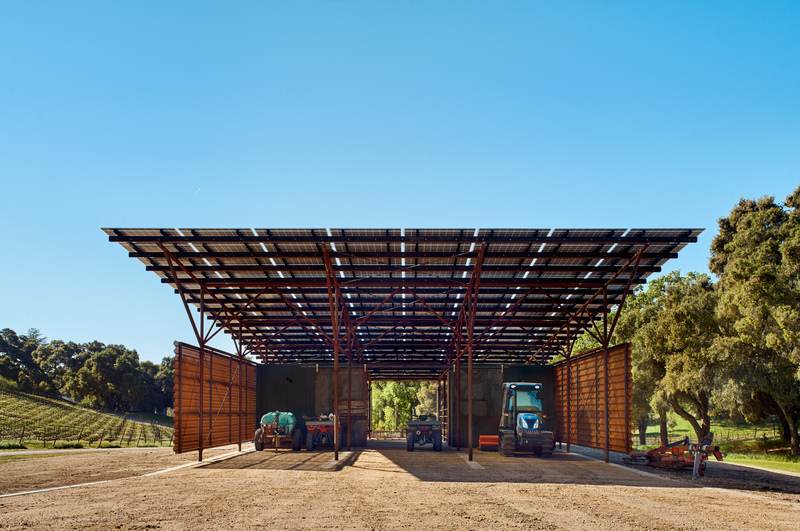 Located in West Paso Robles, California, this unassuming agricultural storage facility was constructed using salvaged oil drill stem pipes, WT steel, Douglas Fir plywood, and perforated metal screen panels. 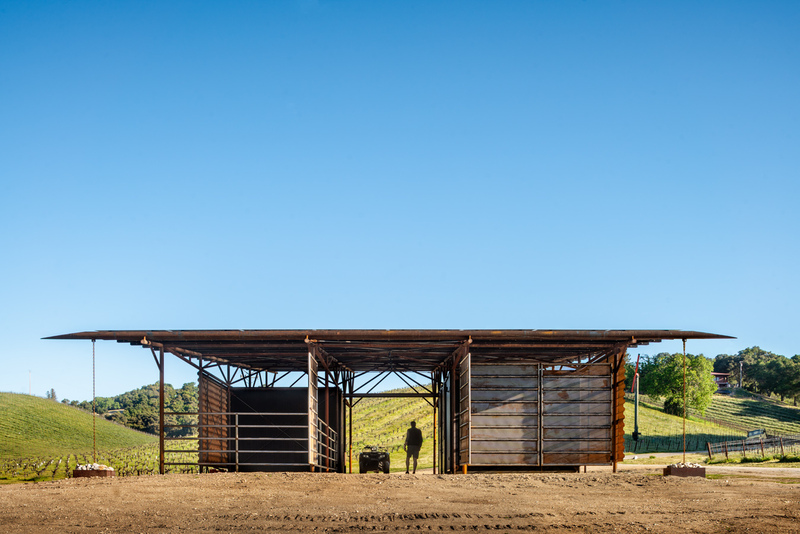 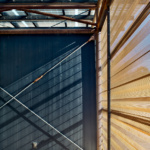 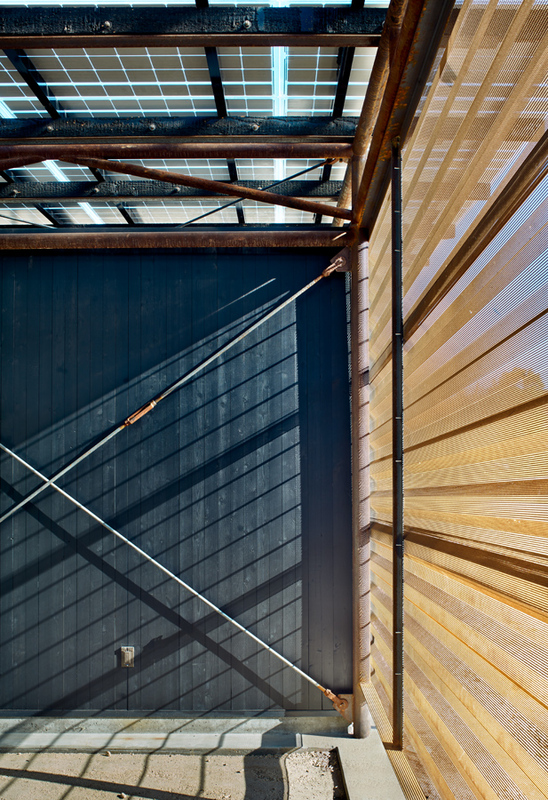 Sliding barn doors are clad in a tube steel frame forged from remnants of the winery’s shoring wall. 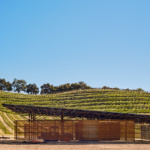 The pole barn sits sentry as the first structure near the entry of the 50-acre James Berry Vineyard. 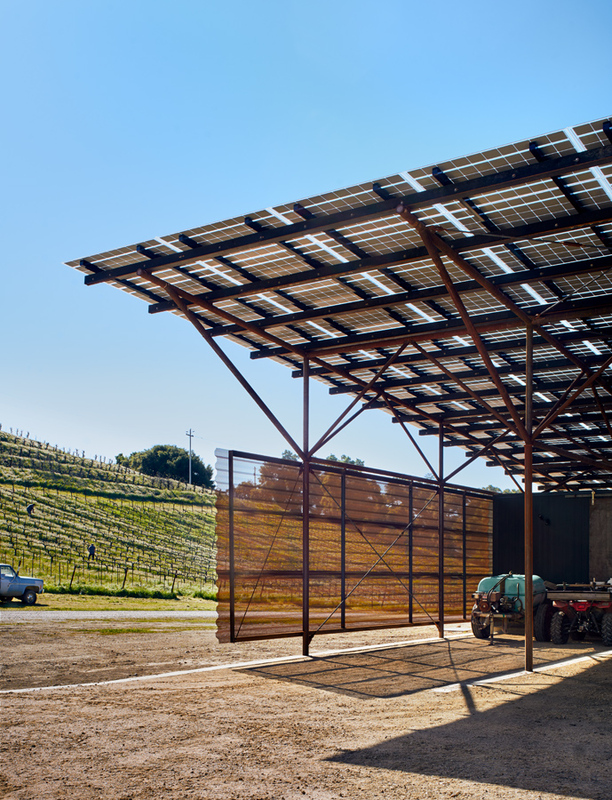 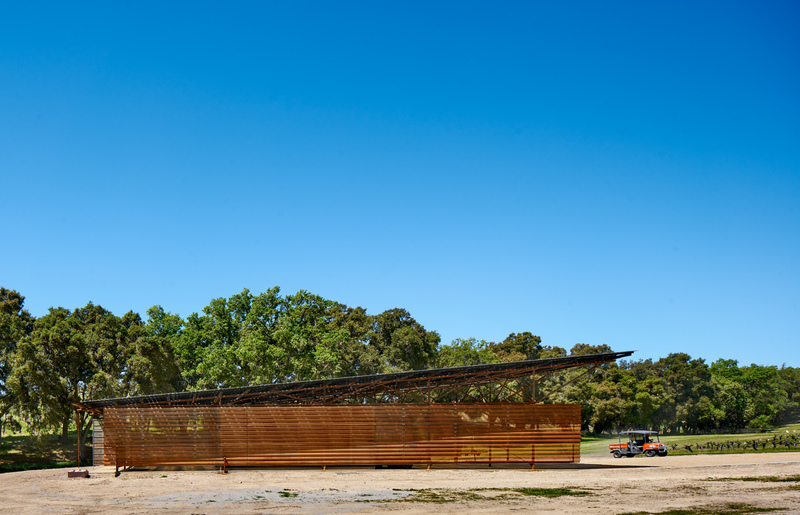 The building’s renewable energy system speaks to the winery’s commitment to sustainability. 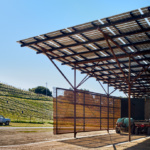 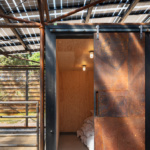 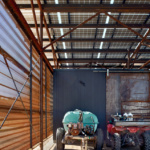 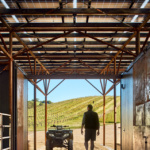 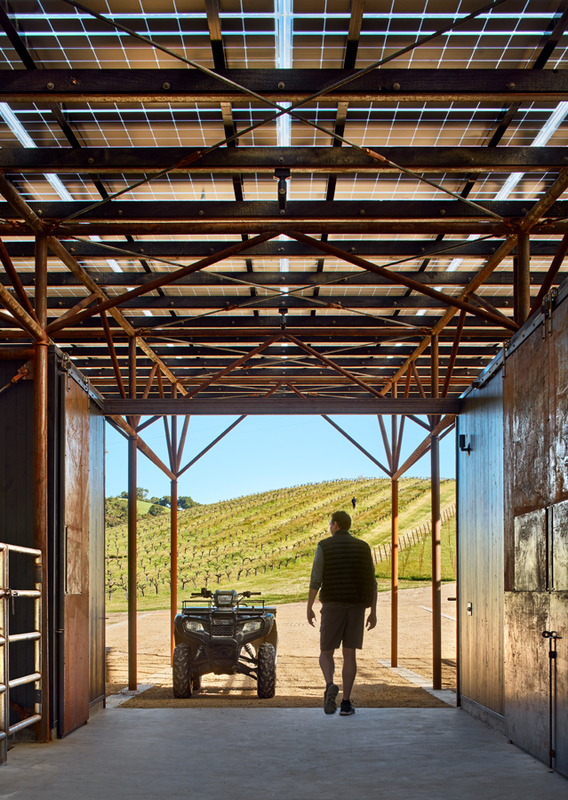 Its prime objectives are to provide an armature for a photovoltaic roof system—offsetting more than 100 percent of the adjacent winery’s power demands—and to provide covered storage for farming equipment. 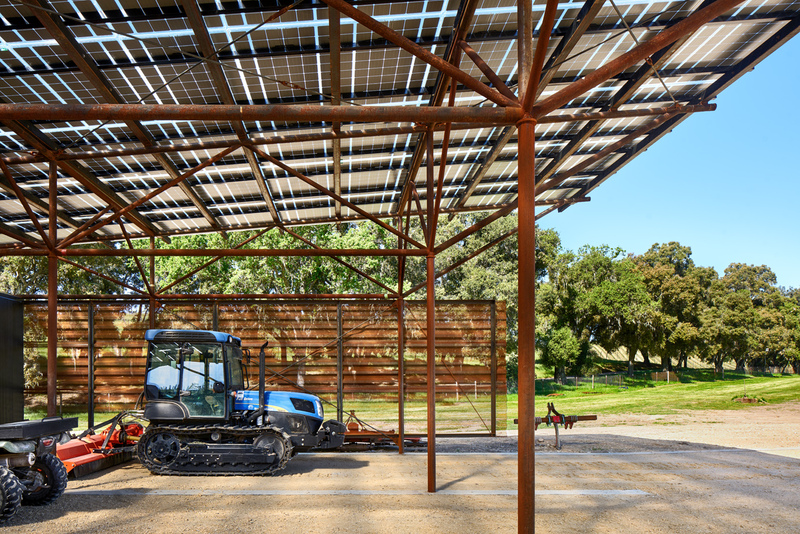 Mounted on the pole barn, a future rainwater harvesting system will collect just under 30,000 gallons annually.